Posted on: May 26, 2017 By: Christopher Brown, Esq. Losing your home to foreclosure is a heart-rending experience. In addition to financial hurdles, you must deal with the emotional upheaval of having to start anew. When most homeowners are on the verge of foreclosure, the bank or lender will step in to help rectify the situation. They may even discuss a forbearance plan to help resolve missed payments and get the homeowners back on track. In March of 2009, the Sundquist family faced a very different chain of events. These circumstances would eventually lead to a whopping $46 million fine ordered to be paid by the nation’s leading financial institution, Bank of America. The number of foreclosures in America is at the lowest it’s been since 1998, due to changing factors like interest rates and consumer purchasing power. However, in March of 2009, homeowners were still dealing with the tail end of a recession. The Great Recession led to a major financial crisis that impacted families and businesses across the country. Erik and Renee Sundquist experienced the sharp cutbacks of the economic downturn firsthand. With unemployment on the rise and consumer spending cut drastically, Erik’s business began to dwindle. The Sundquists were forced to reevaluate their mortgage. The Sacramento couple sought a loan modification from Bank of America, who had previously taken over the bank that had provided the original mortgage. According to court documents, BofA told the Sundquists that they would have to default on their mortgage before modifications could be made. The couple needed more affordable terms so they reluctantly stopped making payments. They subsequently defaulted on their mortgage. In a case that has been called “heartless” and “brazen” by the judge himself, the couple were led on a callous “cat and mouse” chase that has been compared to the denial and cover-up of Watergate. These unprofessional tactics would eventually lead to a 107-page ruling and millions in fines and retributions. 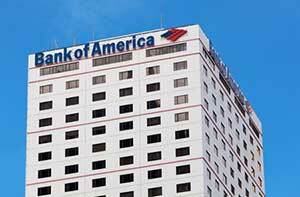 Bank of America had the couple submit as many as 20 loan-modification requests. All the while, the bank was repeatedly scheduling foreclosures on the Sundquists home. Each of these modification documents were soon after ‘lost’ or declared incomplete. BofA then proceeded to serve the couple with an eviction notice. With the fear of becoming homeless, the family (including the couple’s 10-year-old twins) moved into rental housing at $4,000 per month. After filing for bankruptcy in 2010 and moving out of their family home, the bank relentlessly played games with the Sundquists. They continued to offer the couple modification invitations but no agreement could ever be reached. While living in their rental housing, the family home was looted of various items including major appliances. As the landscaping was ignored during their absence, the couple also faced a $20,000 fine from their homeowner’s association. During this traumatic experience, both Erik and Renee Sundquist suffered severe stress. Renee Sundquist developed post-traumatic stress disorder which caused her to lose her job, leading to more financial burdens. Her husband Erik attempted suicide. Even the couple’s children were directly affected by Bank of America’s actions. Bank agents would show up unexpectedly at the home and bang on the doors as the kids practiced the piano. The financial and psychological blows of the situation were chronologically documented in Renee Sundquist’s journal. This detailed journal would eventually become a valuable piece of evidence during the court proceedings. In March 2017, the case went to court. U.S. Bankruptcy Court Judge Christopher Klein ordered the bank to pay $46 million, divided primarily between consumer advocate agencies and law schools. The couple will receive just over $1 million. While the basis for the fine was to encourage the bank to change its mortgage practices, BofA has an opposing view of the situation. A rep for Bank of America said the findings were “unprecedented and unsupported”. Judge Klein found Bank of America to have wrongfully foreclosed on the home and to have violated the automatic stay. While the Sundquists eventually won the case against Bank of America, the funds won went to housing expenses, lost income, attorney fees, damaged property, and medical bills. However, Judge Klein added that the couple would be protected from having to pay their mortgage until Bank of America pays the $46 million fine. While the bank admits that the Sundquists had a challenging experience, they plan to appeal the court’s decision. This ruling was based not only on the improper mortgage proceedings but also how BofA treated the debtors. In the court documents it was clear that BofA had sufficient notice of the automatic stay and chose to repeatedly violate the stay. The bank had also enticed the couple to default on their mortgage on their word that they would refinance the mortgage. The Bank of America case brings new attention to the mortgage industry’s flawed loan practices serving their bottom line above all else. The couple had excellent credit (over 800) and therefore a 6% interest rate, giving the bank little incentive to work with the Sundquists to revise their mortgage terms. The case doesn’t focus on just one rogue employee but the corporation and their policies as a whole. In short, BofA knew what they were doing and should be responsible for all damages incurred. For Erik and Renee Sundquist, the mortgage modification experience was a nightmare. For other homeowners looking to reevaluate their mortgage terms, the case is no doubt a cautionary tale. While Bank of America claims to have helped more than 2 million homeowners avoid foreclosure through evolving refinancing and modification processes, like most financial institutions their main focus is on their bottom line. While one would hope that you never have to deal with foreclosure, knowing how to deal with the problem is key to increase your odds of a favorable outcome. Most lenders do not want your house and will work with you through difficult financial times. However, you still want to know your mortgage rights. Read your loan documents to determine your financial institution’s exact mortgage terms and educate yourself on foreclosure laws in your state.